Croatia is one of the fastest growing tourist destinations in Europe. In the past six years visitor numbers have increased from 8.5 million to 17.4 million, a rise of nearly 70%. This sharp increase, is in no small part thanks to the release of Game of Thrones in 2011. But Croatia has so much more to offer than just movie sets. 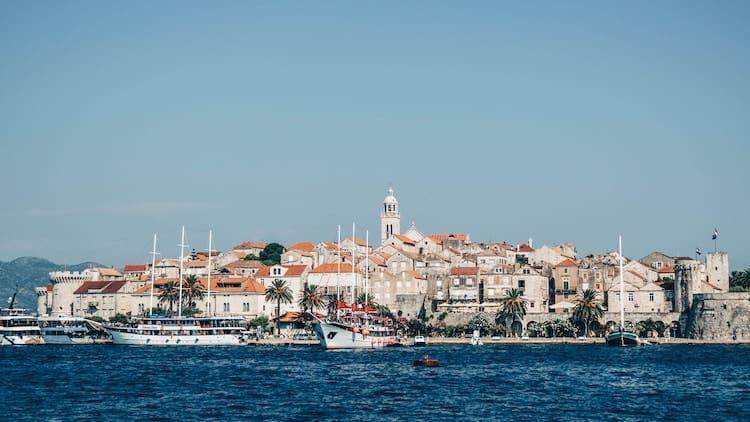 With impressive landscapes, breathtaking national parks and some of the world’s most beautiful beaches, Croatia has something to discover for most travellers. 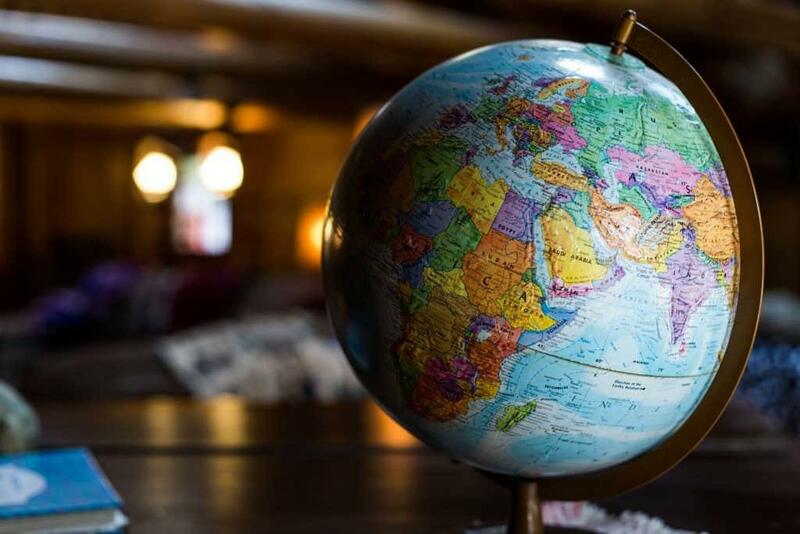 To spark your interest in this beautiful country, here are 8 of the must beautiful locations to visit. 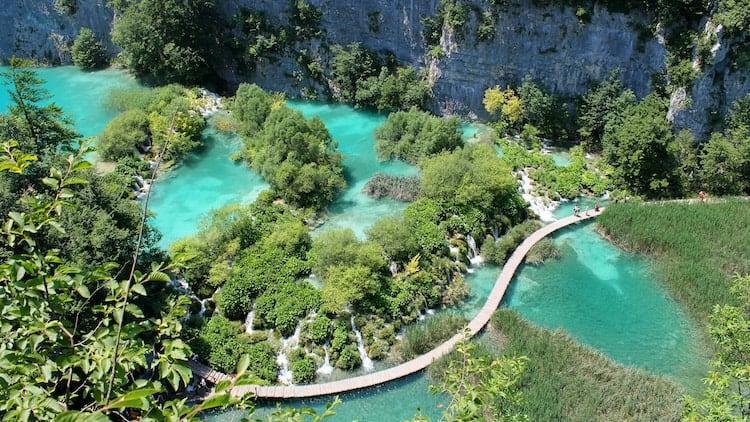 Situated in the heart of the country, the Plitvice Lakes National Park is one of Europe’s natural wonders. Located halfway between Zagreb and Zadar, the national park is a popular destination with day-trippers. Its trails are beginner-friendly although long hikes are possible as well. With impressive lakes and waterfalls, the national park is recommended for outdoor fans. The national park can certainly get busy during the summer months, with prices going up as well, but the turquoise waters which are often shrouded in an eerie mist are an unforgettable sight. It is why plenty of patience is required, especially in the more spectacular areas where the small man-made wooden bridges meet the spectacular lakes, but even at the busy times it’s big enough to find your own spot. After a long hike and a day spent out in nature, travellers can enjoy one of the fine restaurants around the park. Locals also sell their homemade goods such as local cheeses and pastries from the side of the road, if you’d prefer a picnic. There are also guided tours which are recommended for those who want to get to learn more about the area. Individuals can join existing tours or book group tours in advance to see one of the most spectacular areas in Croatia. Situated on the Dalmatian Coast, Zadar is one of the most picture-perfect cities in Croatia. Unlike Dubrovnik, Zadar is much more relaxed with fewer crowds. With its marble streets and relaxed atmosphere, it can be the perfect location for travellers who love city breaks. There are plenty of interesting and quirky attractions in Zadar. One of them is a giant Monument To The Sun, which looks a bit like a solar-powered dance floor. A monument has been designed and built to attract the rays of the sun and form colour patterns during the nights. 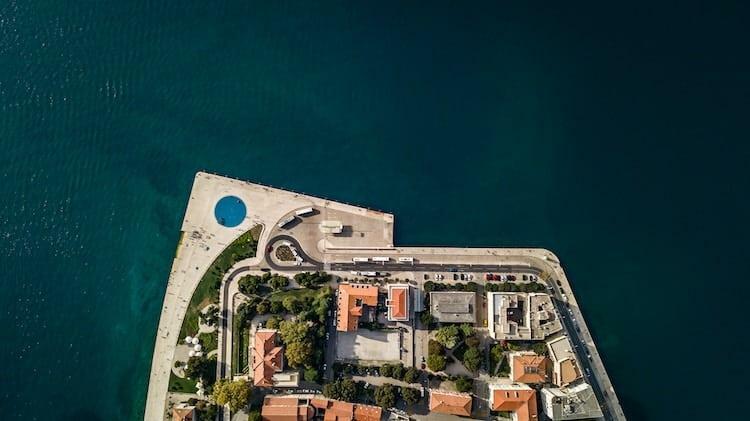 Close to the monument, Zadar offers another unique experience with a water-powered Sea Organ. Connecting pipes below the waterfront promenade, the sounds can be heard when these pipes ill with water, creating a relaxing, if slightly odd experience. 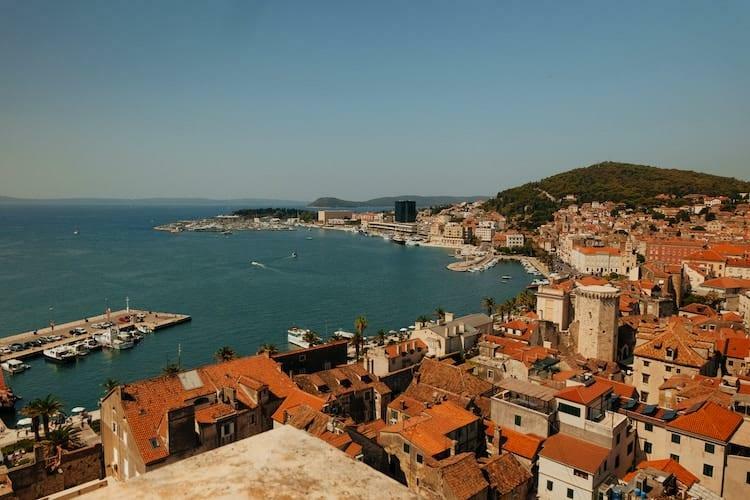 Travellers who want to make the most out of a visit to Croatia also need to get swimming and enjoy a natural tan at one of the multiple world-class beaches the country has to offer. Not far from Zadar, tourists can find the Saharun beach. Combining turquoise waters with white sands offers one unique Croatian experience. Situated close to the Slovenian border, Varaždin is a unique Croatian town. It is known for its impressive baroque architecture and it represents a recommended gateway for those seeking to learn more about the country’s history. The Stari Grad (Old Castle) is the town’s main attraction. With thick white walls, it is among the most interesting historic buildings in the country. The main square of the town is recommended for relaxing walks and delicious treats. Travellers can grab a cup of coffee and enjoy the European feel of its cobbled streets. The old town’s cathedral is also worth visiting while in the area. 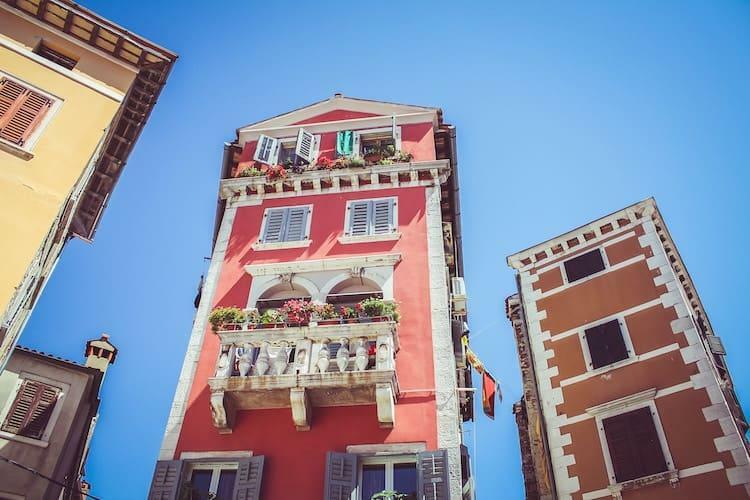 Situated on the West Coast of the Istrian Peninsula, Rovinj is a picturesque experience. With historic buildings right at the seafront, Rovinj is unique and comes with a true Mediterranean feel. It is perfect for active people who want a vast range of activities from enjoying the sun at Cuvi Beach to visiting the town’s historic clock. The Valdibora market offers a range of fresh products which make the visit as tasty as it can get. Those who want to get away from the city in a unique landscape are encouraged to take the 5-minute boat ride to the Katarina Island, a place known for its cliff jumping. Situated South from Zadar, Split is one of the top destinations in Croatia. With UNESCO World Heritage sites, cobbled squares, 13th-century cathedrals and a football team with the oldest fan club in Europe, the city has something to offer to visitors of all ages. The Diocletian Palace is the main attraction. With a history going back 1.700 years, the palace is a recommended hands-on approach to learning more about Croatian and Roman history. It is more than just a building, and encompasses the entire old town. The Peristyle Square is a recommended destination for cultural activities as well as impressive historic buildings. Sports fans can make the most of their visit, especially if avoiding the pre-season summer period. Local team Hajduk Split is known for the impressive support it gets from the fans. Local boat services are available from Split to the island of Hvar. The island is recommended for couples who want a retreat with plenty of activities for a few of days. With local wines to be tasted during the day, the island is a top destination for many adults. During the night, the island can become a party destination and this attracts quite a few celebrities, like Beyonce and Jay Z. With impressive lavender landscapes, the island can be a top destination for impressive pictures as well. Plenty of deals are available for Hvar gateways. Groupon savings are available at PlusVoucherCode for those seeking the best deals. READ NEXT Cote D'Or Beach, Anse Volbert - The Best Beach on Praslin Island! Not far from Hvar, the island of Korčula can be a great destination for many visitors. It offers various ferry services which take tourists around the island. It is one of the best ways to enjoy its spectacular beauty. But the island is also a great destination for nightlife. Even as a small town, the streets come alive at night with plenty of artists and street performers. Live music can be heard around town and it offers one of the most impressive feelings for visitors as it contrasts the small and historic streets of the place. Those who want to stay active can also hire a bike and head out of the city to explore the island with its vineyards and stunning beaches. 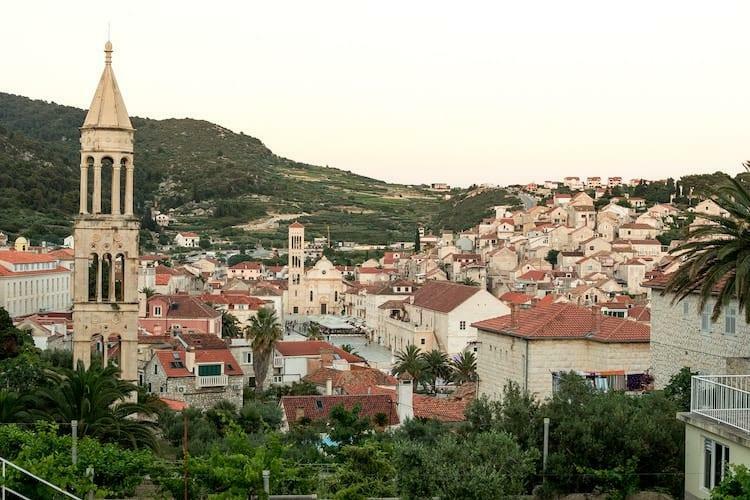 No visit to Croatia can be completed without a few adventures in Dubrovnik. Recommended for yachting fans, food lovers and those seeking a vibrant nightlife, Dubrovnik is one of Croatia’s fun cities. The old city walls offer an impressive perspective and they are worth visiting as they offer a rare sight in Europe. Stradun is a unique place for locals to gather. 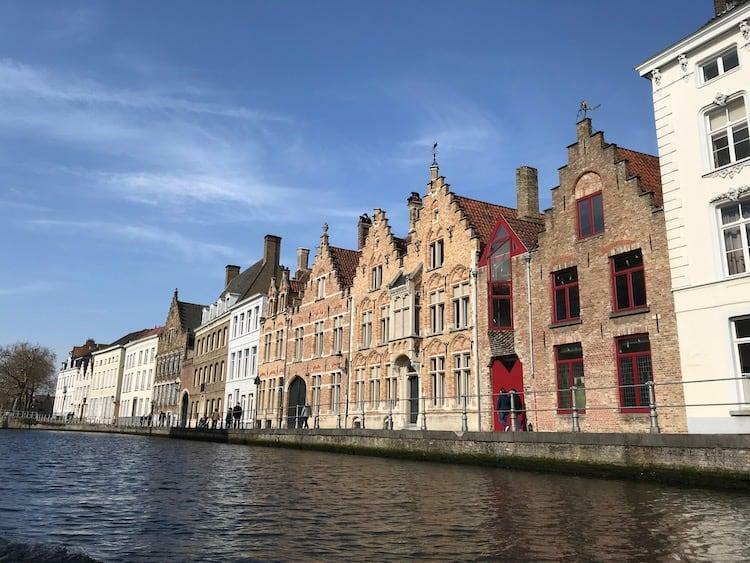 With many cafes and restaurants situated in one of the oldest streets of the continent, it is a must-see for travellers. History fans can leave the parties behind and head towards the Rector’s Palace and Cultural Museum which was designed in 1435. The Fort of St. John is also worth visiting. It was once part of the city’s defence system but today, it is a major tourist attraction. 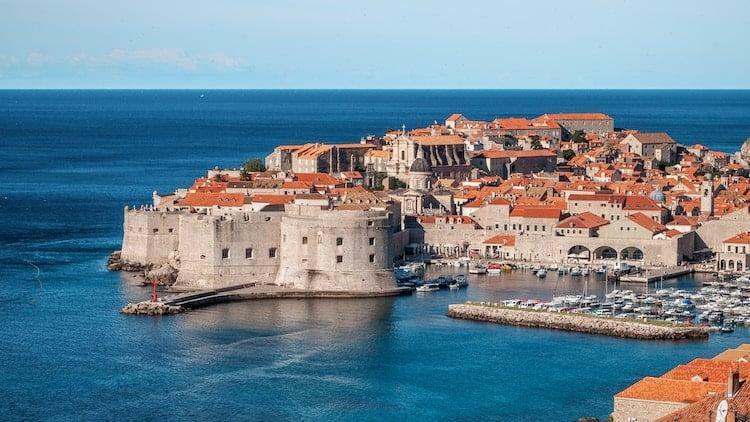 It’s also hard to mention Dubrovnik without a word about Game Of Thrones. Many famous scenes from this series were filmed on these streets and, if you’re a fan, there are many tours available to allow you to recreate these scenes for yourself.